• Comfort zones for head and neck. • Available in high, mid and low lofts. • Great for back and side sleepers. • Gel Dough® formula creates a cooler, softer memory foam. • Ventilated for increased air circulation and breathability. 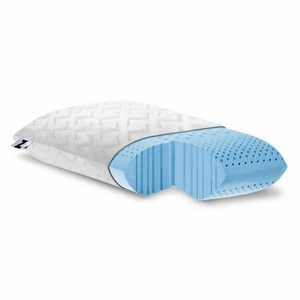 • Zoned comfort cradles the head while supporting the neck. • Rayon from bamboo velour removable cover.